wardrobe wednesday. | everything will turn out alright. 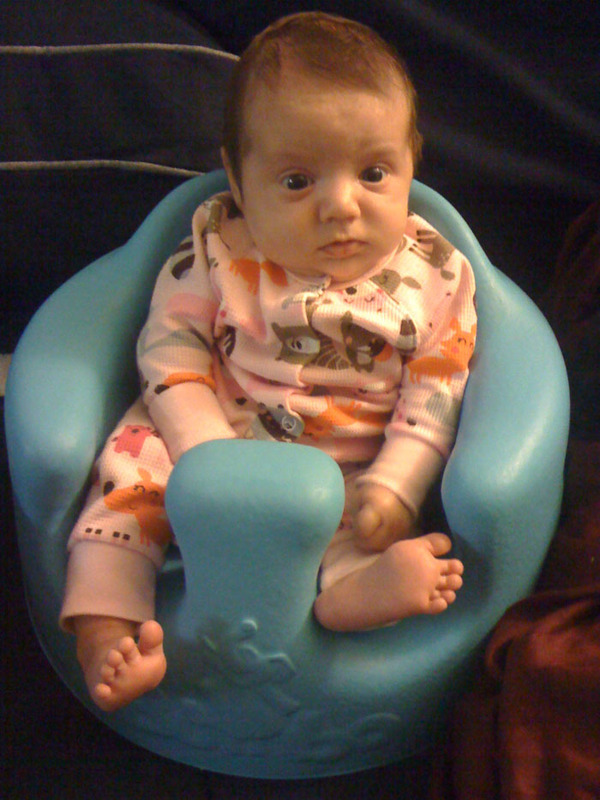 This entry was posted in Uncategorized and tagged bumbo, wardrobe wednesday. Bookmark the permalink. Me too! It was so cheap and is super warm. Double win! Thanks! Target is the best! 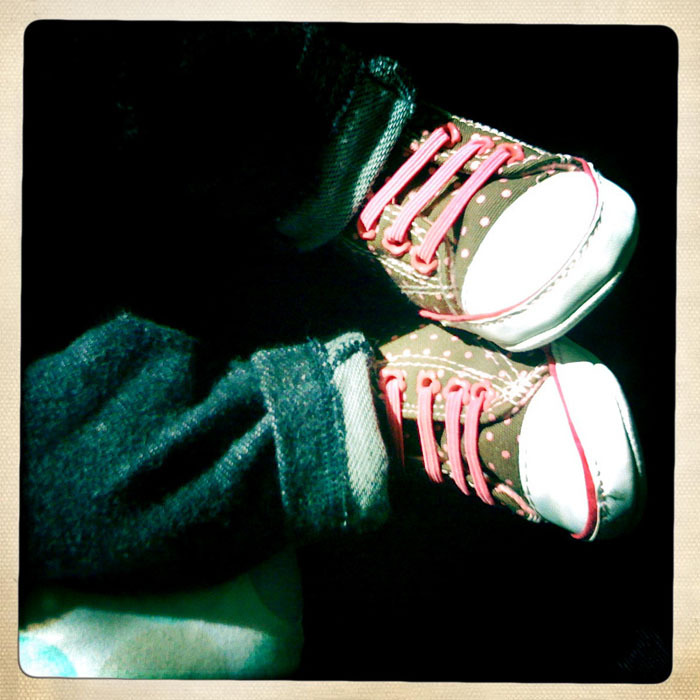 We also got her some little moccasins. So cute! Is her black headband sort of patent-y? It’s lamé I think. The other headband in the set is a gold one. So flashy! I also want to add thank you again for the gallstone posts. It helped me a lot and I have made the french fries or oven fries! I was wondering if I could link you in a gallstone post I am doing? Thanks, Katy. You’re welcome for the gallstone posts. Link away! Already in her bumbo all cute and alert, that was quick! Don’t remind me, Brandee! Time is going too fast! 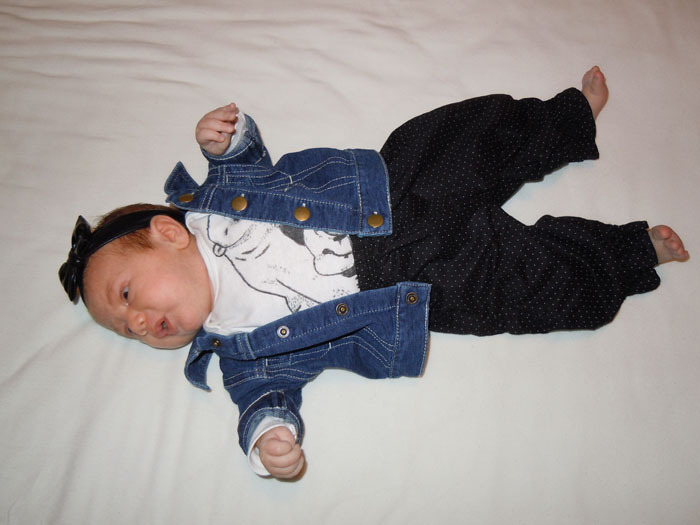 I LOVE the onesie that Travis customized! Isn’t it amazing? 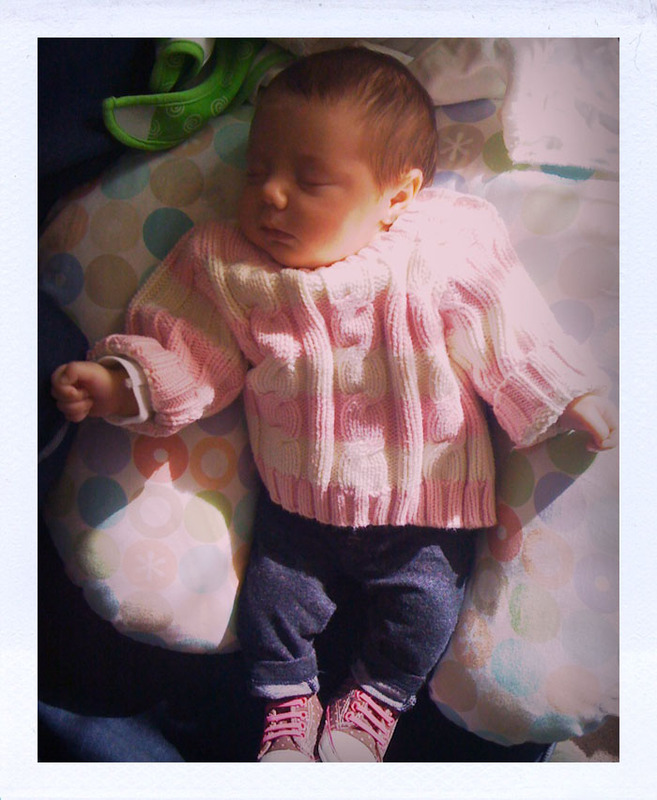 I’ve been waiting for Sylvie to get big enough to wear it. It’s still a tad too big for her, but I don’t care. T was so happy to see Sylvie enjoying the onesie he made for her! I was scrolling through the post and he kept saying “Go back! I wanna see it!” He would be happy to make more for other babies if anyone is interested! That’s awesome! Everyone who saw it yesterday loved it. Tell T “HI!” for me!